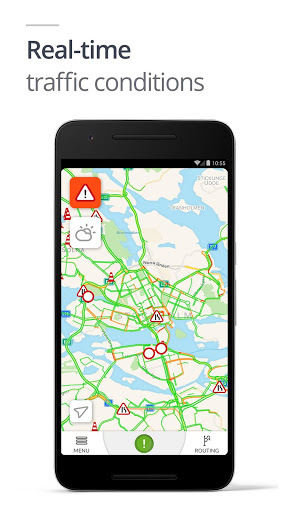 Check traffic and road weather conditions along your route in Europe* ! Don’t waste any more time stuck in traffic jams! Traffic information from V-Traffic gives you real-time updates on traffic status, accidents, road closures, bottlenecks, road works, congestion, surveillance zones**, speed cameras** and animal hazards (wild animals crossing the road, farm animals on the road, etc.). 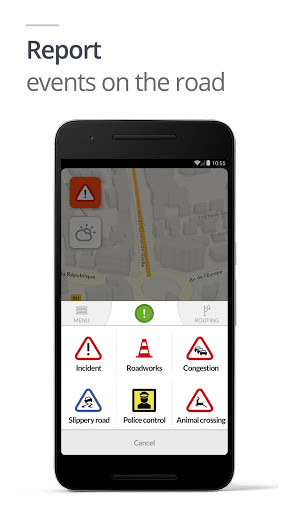 Report any incidents you encounter while travelling simply by tapping the ‘Report event’ button and selecting the type of incident (accident, congestion, road works, slippery road, surveillance zone or animal crossing). Consult our road weather service before setting out. This will give you plenty of real-time warning of weather conditions that may affect traffic flow, saving you time and helping you travel more safely. 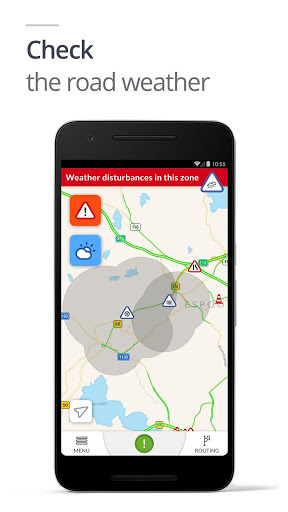 Our road weather service was developed in partnership with the Finnish Meteorological Institute. Weather forecasts, produced in partnership with several Meteorological Institutes in Europe, provide you with detailed weather predictions covering several days at a time. V-Traffic covers more than 600,000 km of road network in Europe*, including motorways, secondary roads and urban arteries. 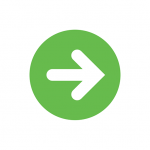 All information is updated in real time, offering unprecedented levels of quality and accuracy. Whether commuting to work or travelling on vacation, you can now call up accurate traffic information directly from your smartphone. Travelling abroad? Avoid traffic congestion and plan the best routes using the latest local information, updated in real time. 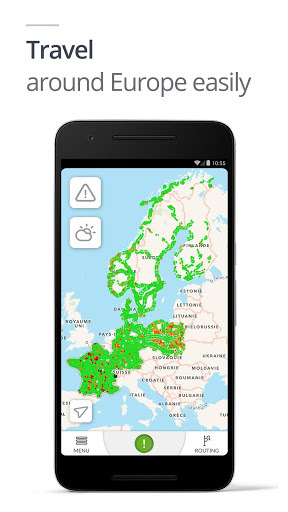 With a single tap, you can check traffic conditions in Paris, Stockholm, Olso, Warsaw, Copenhagen, Helsinki and many other European cities. *Available in: France, Finland, Sweden, Norway, Denmark and Poland. **Depending on local legislation and availability. New ! 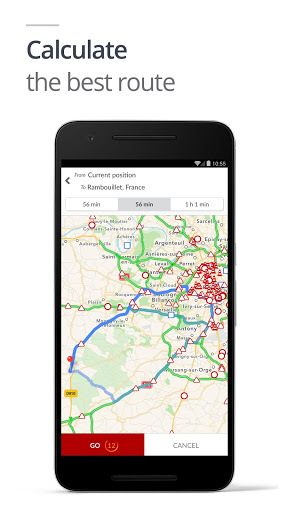 Earn points by using the V-Traffic app thanks to the Ireby loyalty program (More information on www.ireby.fr, program reserved to Metropolitan France).